On Sunday January 20, the Washington Area Community Theater Honors (WATCH) organization announced the 2018 WATCH AWARDS Nominations for community theater productions mounted last year. There are currently 31 member companies in WATCH from throughout the DC, Maryland and Virginia area. A total of 100 productions (35 musicals, 65 plays) were adjudicated in 2018. The Providence Players have been a member of WATCH since 2004. 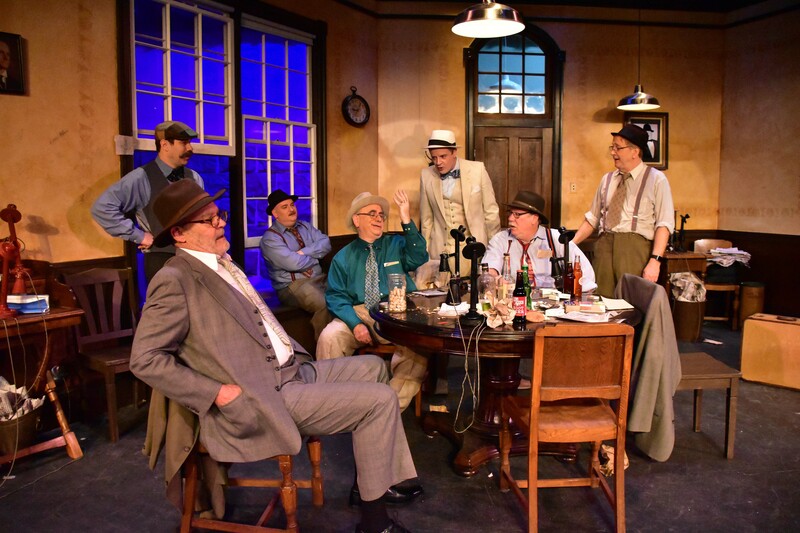 Patrick David (front) as McCue is joined by (L-R) Rob Lee as Kruger, Zachary Todd as Wilson, Steven Rosenthal as Schwartz, Chuck O’Toole as Hildy Johnson, John Coscia as Murphy and Eric Trumbull as Endicott. Photo by Chip Gertozg. Congratulations to all our nominees and to all PPF members who contributed to the success of these and all PPF productions during 2018. Congratulations as well, to all our colleagues in the 31 DMV WATCH member community theater companies. 2018 was an outstanding year in Washington area community theater with a huge number of outstanding productions and hundreds of wonderful performances and technical achievements. 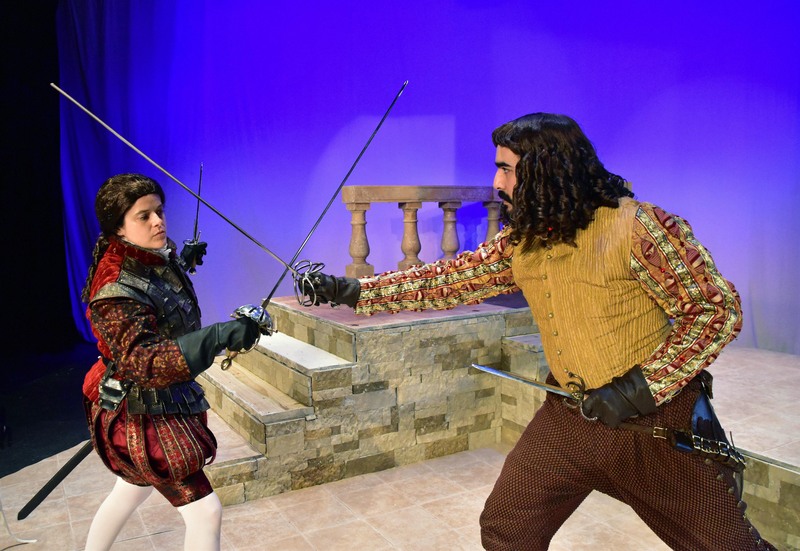 Kirsten Apker (left) as Julie/Frederic and Scott Stofko as Guzman demonstrate their fencing abilities. Photo by Chip Gertzog.